nub::object is a base class for objects that are to be exposed to a scripting language. Associates with each object a unique integer identifier. 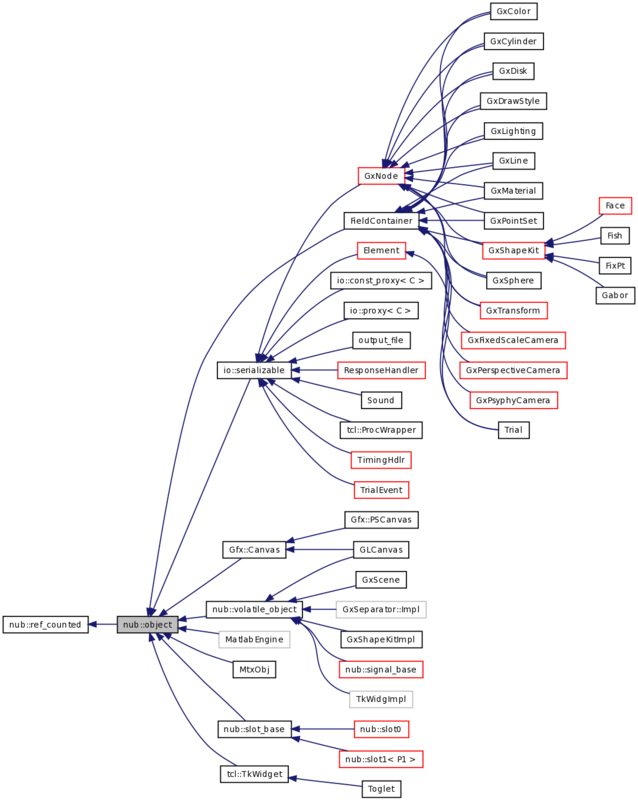 nub::object's are reference counted for automatic memory management, and are generally passed around via nub::ref's or nub::soft_ref's, which automatically manage the reference count. Definition at line 64 of file object.h. Can't have an empty throw() spec here, because ref_counted's constructor might throw (because it has to allocate memory for a nub::ref_counts object). 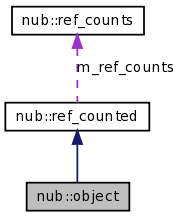 Definition at line 52 of file object.cc. Referenced by io::legacy_reader::read_root(), and unique_name(). This page was generated Wed Dec 3 06:56:22 2008 by Doxygen version 1.5.5.